Do alpacas spit? This is the most common question we receive from visitors to our farm. Yes, they do spit. However, not as much as a you might think, and not as often as a llama spits. We have had hundreds of visitors to our alpaca farm, and we have yet to witness any of them be spit at by the alpacas. That being said, I have been caught in the crossfire from time to time. Sometimes when they are less than excited to receive their worming shot. The rest of this post does not have any more information about the spitting habits of the alpaca, but are some interesting facts about this adorable animal. Yep, it’s true. They all like to go in the same spot. In fact, we’ve seen them in a single-file line waiting to take his/her turn. We’ve also witnessed them standing in a circle, butts to the middle, all going at the same time. Alpaca compost is also an amazing soil amendment! We use it in our landscaping and to fertilize our lawn. This blog post is a humorous look at how we utilize alpaca compost in our gardens. Yes, there are 22 different colors of alpacas. Some people also wonder if alpacas change colors from the time they are born until they are fully grown (kinda like a deer losing its spots). The answer: Nope. The color(s) they are when they are born are the colors they will be. Where do alpacas come from? 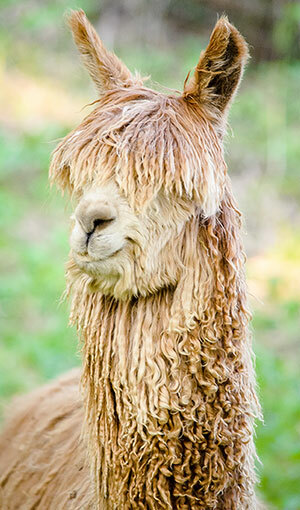 Alpacas come from Bolivia, Peru and Chile in the Andean Mountain range of South America. 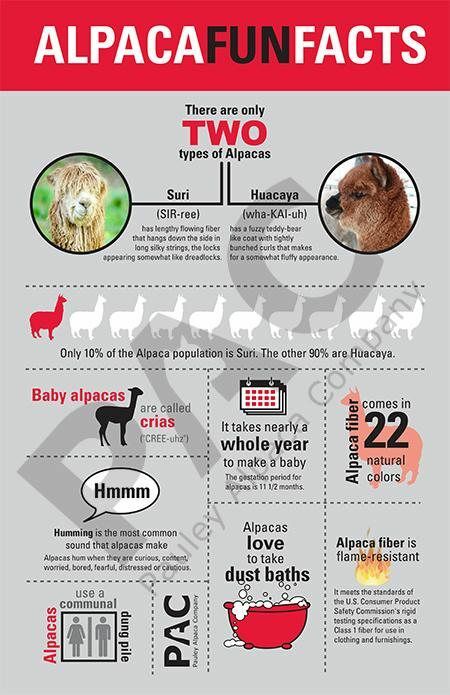 Download our Alpaca Fun Facts Poster on Etsy. I love your website and I love your information poster but the only question I have is… isn’t the line of silhouettes starting with the red animal a llama?